Want to remove years of sun damage, broken capillaries, pigmentation or rosacea? IPL is the answer. Intense Pulse Light (IPL) therapy is a painless procedure which uses pulses of light to penetrate deep into the skin to increase collagen production to reduce the visibility of scarring and wrinkles, while also reducing redness and discolouration of the skin. 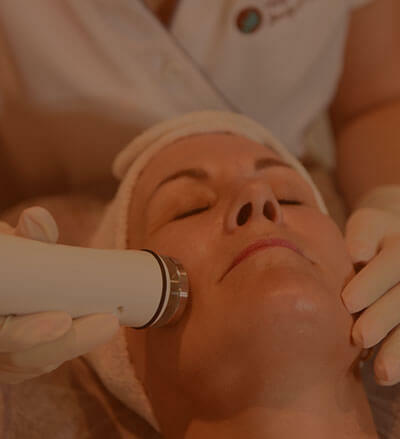 IPL gives you a much smoother, clearer facial complexion and is gentle enough to treat your neck and hands. The real advantage of IPL is its ability to treat several conditions simultaneously. Pigmentation, capillaries, veins, fine lines and rough skin can be treated together in one convenient treatment. Due to its versatility, the IPL facial has become the preferred means of skin rejuvenation. We offer both full face and half face treatments to target a range of common skin conditions including, spider vein removal, redness and rosacea. Depending on your skin type and the condition you want treated, a series of one to eight treatments may be recommended. These treatments will target vascular and pigmentation issues to leave you with smoother, younger looking skin. IPL treatment is also a great hair removal solution. IPL is fast becoming the preferred hair removal treatment (superseding laser treatment) for permanent hair reduction. IPL gives a faster, less painful solution to get rid of unwanted hair in even the most delicate areas. If you want to get rid of spider veins, redness or rosacea or reduce the visibility of wrinkles or scarring, then come in and organise a free consultation with one of our qualified therapists. We will assess the condition of your skin and recommend the best treatment plan for you. If your looking for permanent hair removal, then book in for a IPL hair removal treatment today. Our range of IPL hair removal treatments will eradicate hair, leaving you with soft, silky skin. We also provide IPL hair removal for men. For more information give us a call.